I am fortunate in that I get to spend a lot of time with clients on a daily basis – my current portfolio includes 86 agencies. One increasingly frequent topic of discussion at meetings is measurement, social media ROI and strategy in particular. Amongst clients across varying sectors I see a lot of focus on owned channels, and I believe the potential of big data enabled by social media is often underutilised. What’s more, with in-house teams growing their own capabilities, agencies will need to diversify where they add value. Beyond owned, earned and paid are two such areas where consultancy and insight can add real value, and in this post I focus on the measurement of earned social media. Paid, with all its attribution models and programmatic buying, is another post altogether. PR agencies have an advantage with earned social media, as they already have decades of relationship building experience with journalists and in creating content. Therefore, engaging with social communities and influential bloggers for example, may come easier to a PR professional than perhaps advertisers. They also know to listen first and not to be the proverbial loud guy at the party – join the conversation, don’t broadcast. But PR’s do need to step up their knowledge of paid, even if not to execute paid campaigns but to be able to converse on the integration of all activities. Especially as native advertising, in the form of sponsored content, is becoming more and more prevalent and indistinguishable alongside earned media. So, the question is, what opportunities does social media hold for us when we venture beyond our owned channels? I’ve put together a short list, which is by no means exhaustive and I welcome your comments to grow and develop this. Ideally you should use one measurement framework, but different metrics for different objectives. Where possible, utilising metrics which the wider business employs such as sales, Net Promoter Scores (NPS), market share, footfall, ROI etc. will streamline reporting up to senior management and make it more effective. Always link results back to business objectives. Twitter impressions – Aggregated impressions, which are simply added up followers, will quickly give you figures in the millions but as Danny Sullivan writes “you may have to tweet 14-21 times in a week in hopes of reaching only 30% of your total audience”. Twitter can provide you with actual served impressions, other providers will just show total potential impressions. Sentiment – As this is automated the accuracy can sometimes be atrocious. More so when you’re a consumer brand such as Red Bull, where people may say “I’m dying for a Red Bull”, “Red Bull is sick”, “Red Bull is badass” etc. Location – Facebook, Tumblr, some Twitter content and other .com domains can skew the results to appear to be originating from the U.S.
A holistic measurement solution should capture both quantitative and qualitative results, utilising social listening tools, social campaign execution tools, web traffic data and ideally sales figures. That’s when you can go beyond measuring simple outputs, and look at actual outcomes. This is when you can prove social media ROI. Did a spike in content after a given campaign cause a surge in sales, sign-ups, museum visits or, if you’re a charity, volunteers – is there a correlation? Multichannel integrated campaigns are almost the norm these days, so for a more sophisticated analysis of contribution one can also use econometric modelling. Besides correlation analysis and econometric modelling, market research is another tool which can determine behavioural shifts, changes in NPS and general awareness. Also keep an eye on the absence of data and the corresponding insight derived from that, and conversely, do not simply measure data that’s readily available but perhaps not relevant. Once you have the results and look to interpret them remember, as Rob Clark put it, “Not what, but so what and now what”. 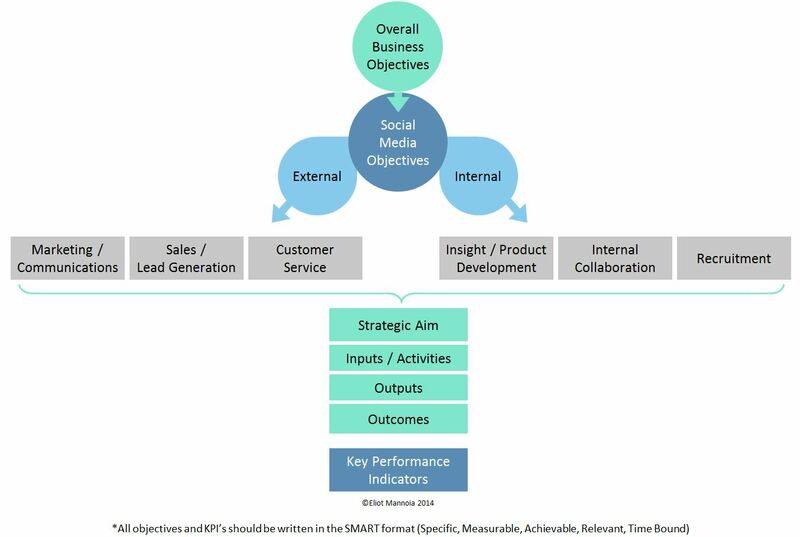 For more information on social media ROI and measurement frameworks you can also see AMEC’s detailed resources, Cisco and Stephanie Marx’s approach or Susan Etlinger and Altimeter’s blog. 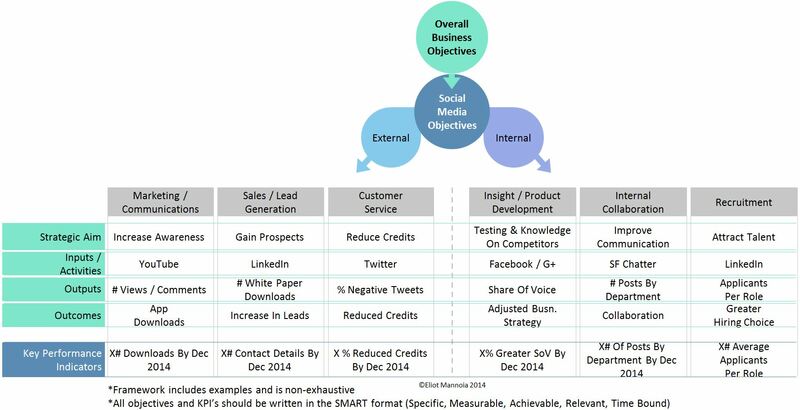 How do you demonstrate social media ROI? What intelligence do you gather? This has got to be one the most elaborated and well defined articles on social media ROI and marketing. The way you define everything is commendable. It is very well written yet so easy to understand. I appreciate you taking this initiative to guide people on this subject matter. This is absolutely splendid. You have a very strong grasp on your field of work and I love your approach. Very impressive. That was very informational. I like how you emphasized on knowing what exactly your objectives are before you start putting in effort to work on them. Although I knew a couple of the things you mentioned here, a lot of them were new to me. There seems to be a science to this and YOU seem like the one to go to! Excellent article and interesting information. I know I’d be in good hands with you. Thank you for these informative and eye opening articles.